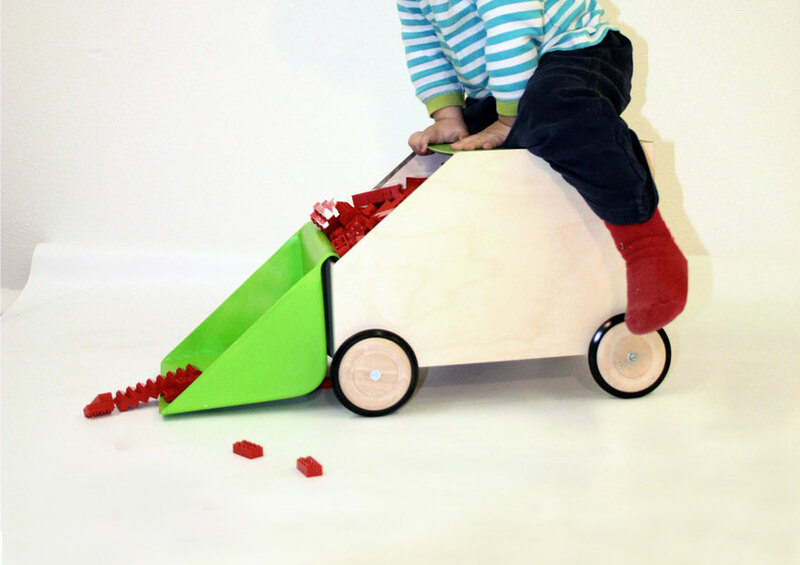 "Tidy up – playfully"! 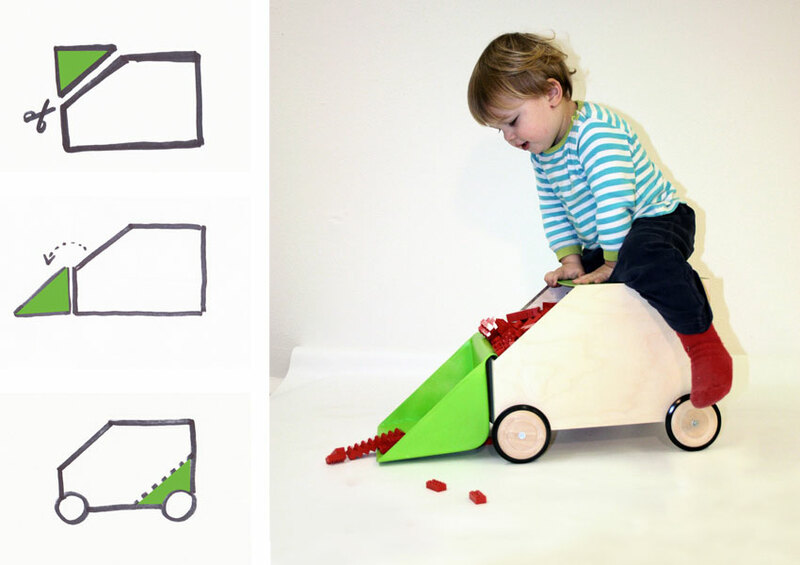 This project focuses on the idea that cleaning up for kids is not as annoying as it used to be. 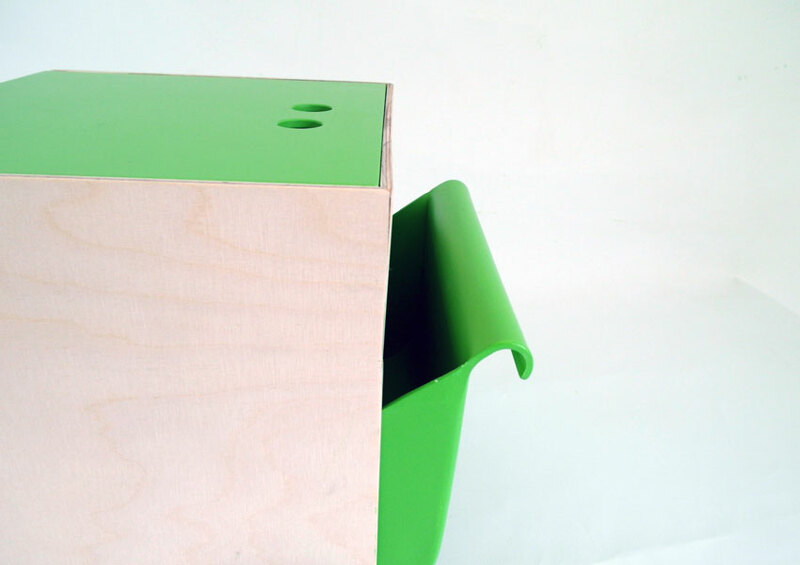 The object should be toy and storage at the same time. 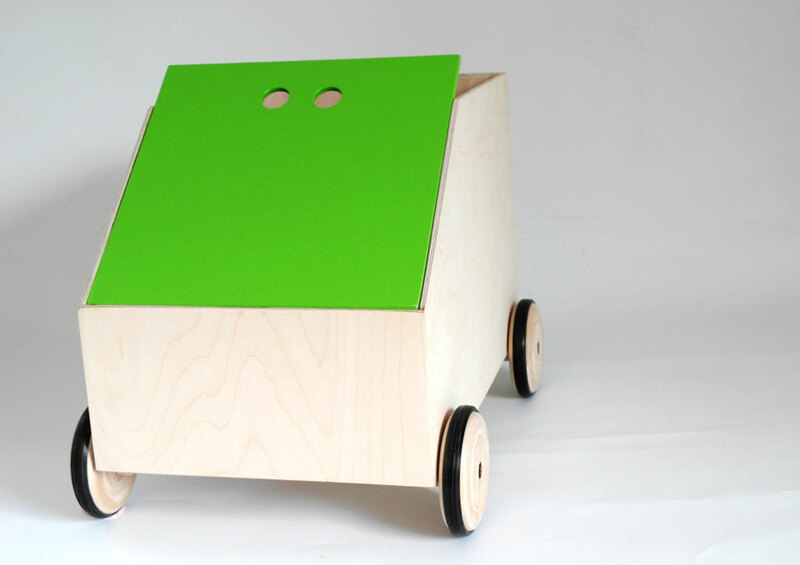 Formally it looks like a box – only very simple changes in design like the wheels and the shovel make the box a car with which kids can tidy up in a pleasant and playful way.